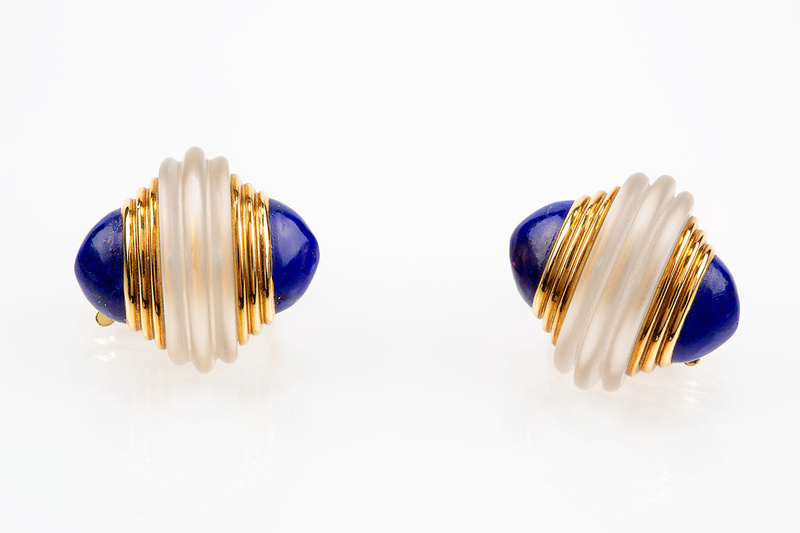 A finely made pair of clip earrings by Boucheron in 18 karat yellow gold. 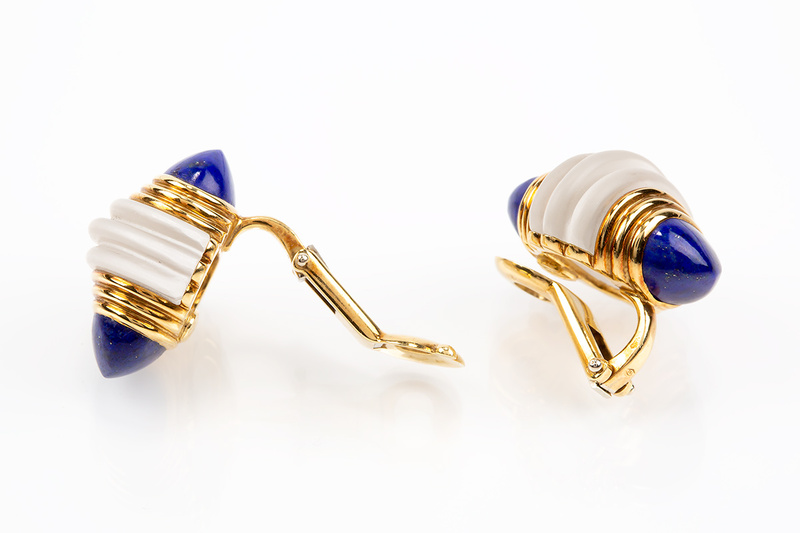 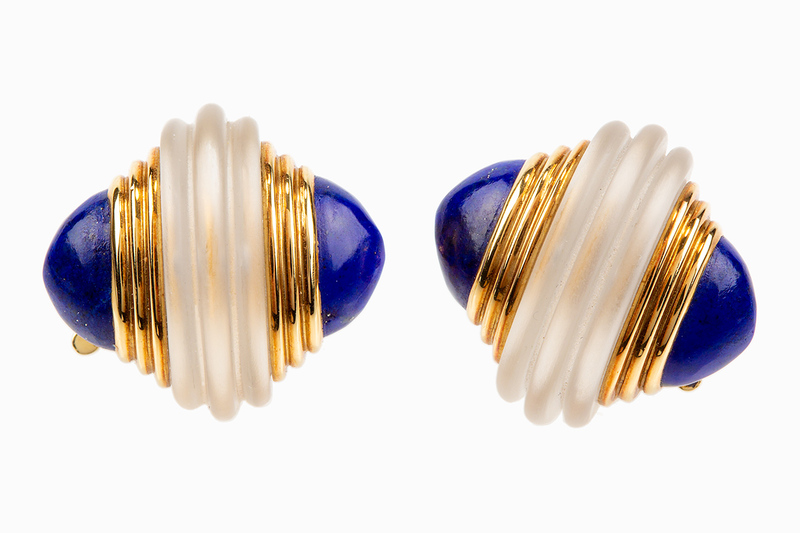 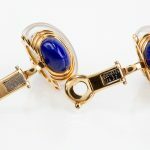 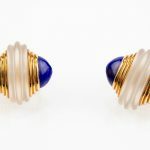 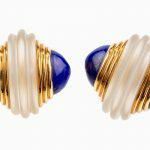 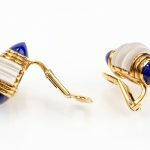 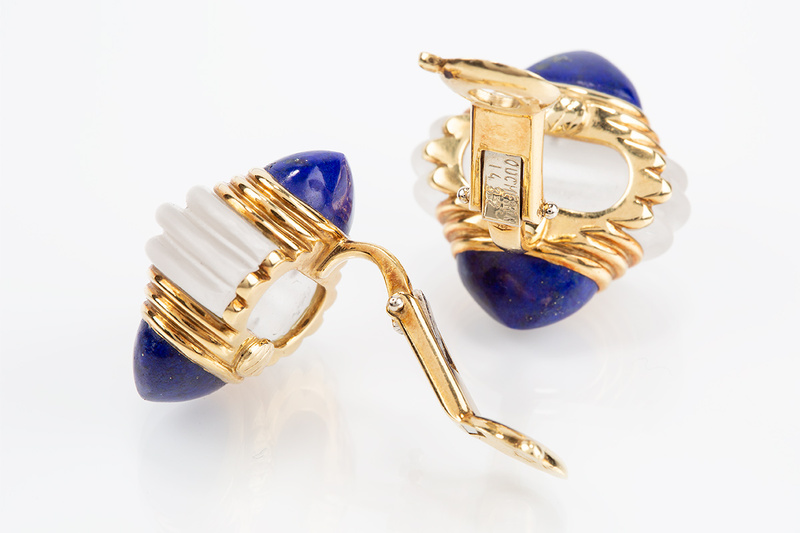 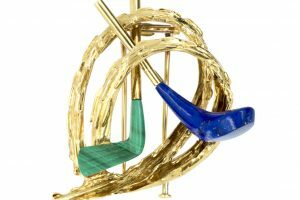 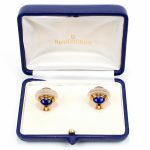 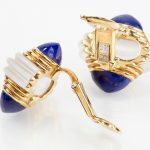 The centre of each earring has a ring of frosted crystal with patterned gold and lapis lazuli either side. 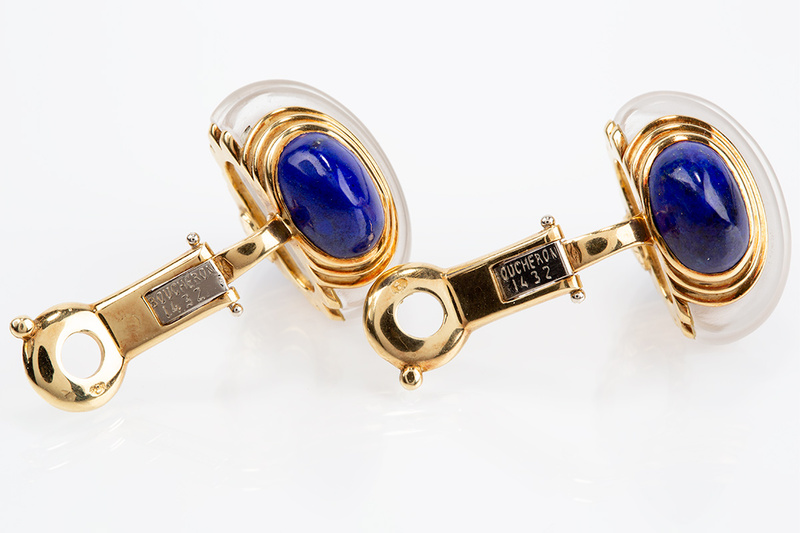 Signed Boucheron with French marks and numbered 1432. 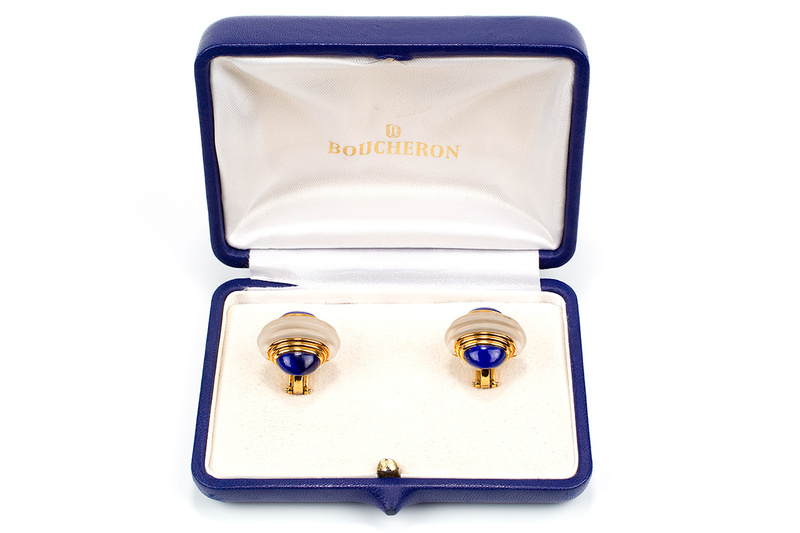 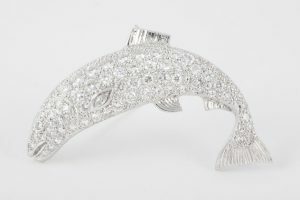 Comes with the original Boucheron case. 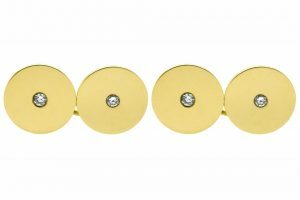 Measures 20mm in width x 21mm in height. 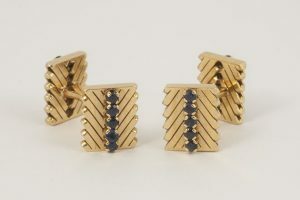 Mid 20th century, French circa 1950-1960.